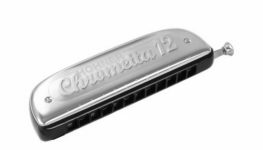 In terms of construction, it is easiest to visualise a standard chromatic harmonica as being akin to two diatonics arranged on top of each other and tuned a semitone apart. 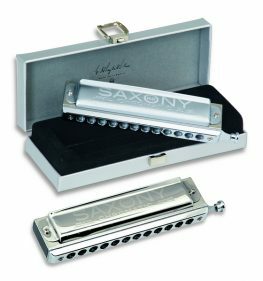 The slide directs air to the top or bottom reeds, thus enabling all standard Western notes to be sounded without the need to resort to bending. 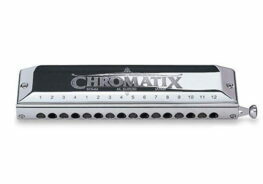 The most popular chromatics are those with 12 holes, but they are commonly available in sizes ranging from 8 to 16 holes. 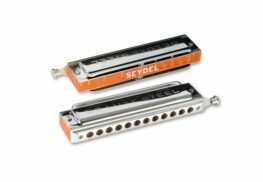 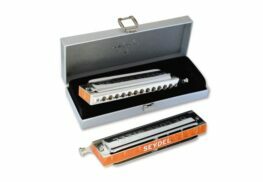 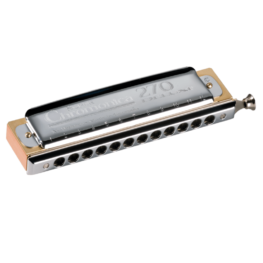 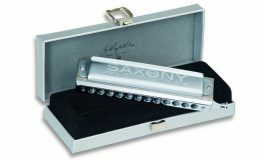 The Harmonica Company stocks models from Hohner, Seydel Suzuki and Tombo and offer fast worldwide shipping.